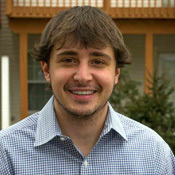 Brian Slusarz was a project assistant for WRI who worked on the Burlington County Juvenile Prevention Project. He holds a Master’s in Public Policy and Administration from Rutgers-Camden. Page last updated by Senator Walter Rand Institute for Public Affairs at 3:53 pm May 11, 2017 . This page was printed from http://rand.camden.rutgers.edu/2015/09/16/2509/ at 8:27 PM Saturday, April 20, 2019.